+you must input $parasum parameters! 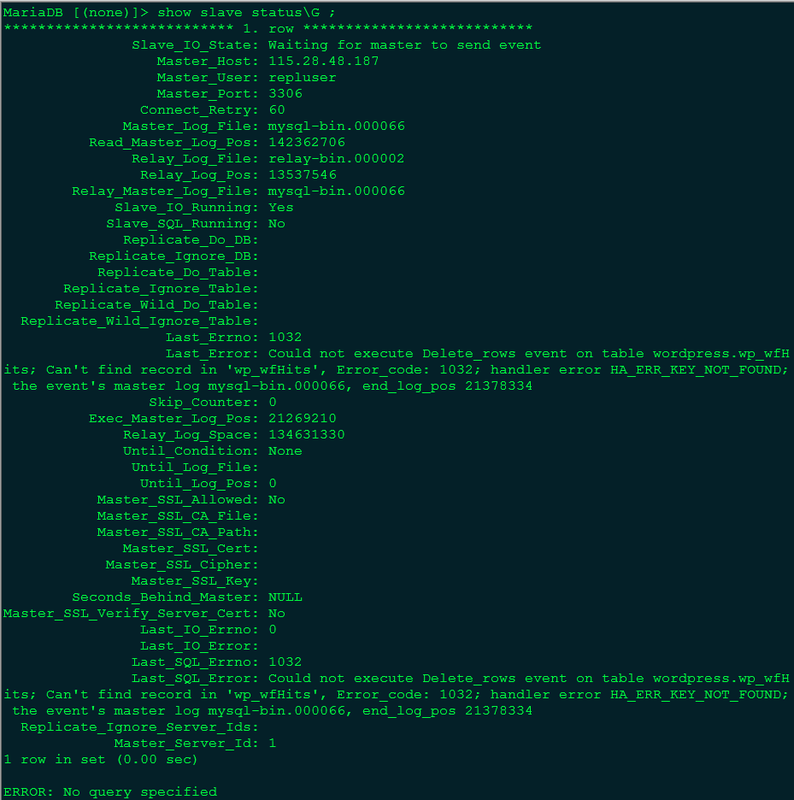 $MYSQL_CMD -e "start slave io_thread;start slave sql_thread;"
MailTitle="[Warning] Slave threads stoped on $HOST_IP $HOST_PORT"
$MYSQL_CMD -e "stop slave;set global sql_slave_skip_counter=1;start slave;"
MailTitle="[Warning] Slave error on $HOST_IP $HOST_PORT! ErrNum: $Errno"
MailTitle="[ERROR]Slave replication is down on $HOST_IP $HOST_PORT ! ErrNum:$Errno"
MailTitle="[Warning]Slave delay $Behind seconds,from $HOST_IP $HOST_PORT"
+you must input 2 parameters!